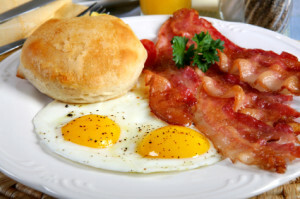 You are here: Home / Blog / Bible study / God's Law / What’s So Bad about Bacon? A debate raged in my mind. She knew that our family didn’t eat pork, and I knew she didn’t agree, but neither was she trying to be rude. She was asking what I honestly thought. On the other hand, her relatives worked for a major pork processing plant here in southern Minnesota, and I knew that if her family changed their opinion of eating pork, there would be major financial ramifications. Was it really such a big deal if she ate a little bacon? Was it worth a big fight? Calling bacon a “sin” is strong words, don’t you think? So let’s define sin. I think most of my readers would agree that sin in determined by God, not by mankind. That’s what makes Him God. The basic idea is that He is in charge of the universe He has created, and He has given laws (rules, commands, statutes, dos and don’ts) to people to put boundaries on their conduct. He gets to do that because He is God. Of course, anything that deviates from His standard in any way is sin. His standard determines what is right, and His standard determines what is wrong. It is an expression of His will, and it’s our duty to submit to His will. All my life, I’ve been taught that the Word of God defines sin clearly. that I might not sin against you” (Psalm 119:11). What I wasn’t taught was that God’s Word defines sin very specifically! who walk according to the law of YHWH. I will not neglect your word” (Psalm 119:1-16). “Everyone who sins breaks the law; in fact, sin is lawlessness. But you know that he appeared so that he might take away our sins. And in him is no sin. No one who lives in him keeps on sinning. No one who continues to sin has either seen him or known him” (1 John 3:4-6). So sin is defined as breaking the laws of God. “Of all the animals that live on land, these are the ones you may eat: You may eat any animal that has a split hoof completely divided and that chews the cud. “There are some that only chew the cud or only have a split hoof, but you must not eat them. The camel, though it chews the cud, does not have a split hoof; it is ceremonially unclean for you. The coney, though it chews the cud, does not have a split hoof; it is unclean for you. The rabbit, though it chews the cud, does not have a split hoof; it is unclean for you. And the pig, though it has a split hoof completely divided, does not chew the cud; it is unclean for you. You must not eat their meat or touch their carcasses; they are unclean for you (Leviticus 11:2-8). “Do not eat any detestable thing. These are the animals you may eat: the ox, the sheep, the goat, the deer, the gazelle, the roe deer, the wild goat, the ibex, the antelope and the mountain sheep. You may eat any animal that has a split hoof divided in two and that chews the cud. However, of those that chew the cud or that have a split hoof completely divided you may not eat the camel, the rabbit or the coney. Although they chew the cud, they do not have a split hoof; they are ceremonially unclean for you. The pig is also unclean; although it has a split hoof, it does not chew the cud. You are not to eat their meat or touch their carcasses” (Deuteronomy 14:3-8). If I told my child, “Do not eat that cookie,” and she disobeyed me, I would consider it a sin. Even if she said, “But Mom, everyone else is eating cookies, and besides, Mom, you made those cookies,” I would still expect her to obey me. “Do not follow the crowd in doing wrong” (Exodus 23:2). In God’s law, He set up provisions for those who did wrong through ignorance, simply because they didn’t know any better. “When anyone sins unintentionally and does what is forbidden in any of YHWH’s commands…” (Leviticus 4:2). “If a member of the community sins unintentionally and does what is forbidden in any of YHWH’s commands, he is guilty. When he is made aware of the sin he committed, he must bring… his offering for the sin he committed…” (Leviticus 4:27). Sinning requires a sin offering. In fact, for all sin, God’s penalty is always death, whether of the offender or of a substitute offered in the sinner’s place. “If a person sins and does what is forbidden in any of YHWH’s commands, even though he does not know it, he is guilty and will be held responsible. He is to bring to the priest as a guilt offering a ram from the flock, one without defect and of the proper value. In this way the priest will make atonement for him for the wrong he has committed unintentionally, and he will be forgiven. It is a guilt offering; he has been guilty of wrongdoing against YHWH” (Leviticus 5:17-19). Sin always has dreadful consequences. “But if you fail to do [as YHWH has commanded you], you will be sinning against YHWH; and you may be sure that your sin will find you out” (Numbers 32:23). “Just as you used to offer the parts of your body in slavery to impurity [literally, “uncleanness”] and to ever-increasing wickedness, so now offer them in slavery to righteousness leading to holiness. When you were slaves to sin, you were free from the control of righteousness. What benefit did you reap at that time from the things you are now ashamed of? Those things result in death! But now that you have been set free from sin and have become slaves to God, the benefit you reap leads to holiness, and the result is eternal life. For the wages of sin is death, but the gift of God is eternal life in Christ Jesus our Lord” (Romans 6:19-23). I am very thankful that God sent His only Son to pay the penalty of death for my sin! the iniquity of us all” (Isaiah 53:5-6). So since our punishment was laid on him, does that mean I’m free to now eat all the bacon I want? “What shall we say, then? Shall we go on sinning so that grace may increase? By no means! We died to sin; how can we live in it any longer?” (Romans 6:1-2). Didn’t Jesus Declare All Foods Clean? When I’m pressed to say if I believe eating pork is a sin, many believers will respond with a passage from Mark 7. After he had left the crowd and entered the house, his disciples asked him about this parable. ‘Are you so dull?’ he asked. ‘Don’t you see that nothing that enters a man from the outside can make him “unclean”? For it doesn’t go into his heart but into his stomach, and then out of his body.’ (In saying this, Jesus declared all foods ‘clean.’)” (Mark 7:14-19, NIV). There are two very quick reasons why Jesus could not have been declaring pork “clean” in this passage. The context shows He was talking about clean and unclean hands, not clean and unclean foods. “The Pharisees and some of the teachers of the law who had come from Jerusalem gathered around Jesus and saw some of his disciples eating food with hands that were ‘unclean,’ that is, unwashed. (The Pharisees and all the Jews do not eat unless they give their hands a ceremonial washing, holding to the tradition of the elders. When they come from the marketplace they do not eat unless they wash. And they observe many other traditions, such as the washing of cups, pitchers and kettles.) So the Pharisees and teachers of the law asked Jesus, ‘Why don’t your disciples live according to the tradition of the elders instead of eating their food with “unclean” hands? '” (Mark 7:1-5). I’m sure you were taught, as I was, that we need to look at the entire context of a passage, rather than looking at just one verse in isolation, especially in an important case where we might disobey a law of God if we misunderstand what His Word is saying! Jesus is stating the obvious here. If we eat with dirty hands, it doesn’t defile us because it goes through our digestive system and out again, “in the latrine” as the NASB notes add, purifying all the food that we ate before the dirt can be absorbed into our bodies. The NASB is honest enough to add italics to its translation, so that we can see which words were added by the translators. If you’ll continue reading Mark 7 in its entire context, you’ll understand that Jesus was trying to teach an important lesson to His disciples. However, I want to bring up an even more dangerous view that is implied by those who say that Jesus declared all foods (even pork) “clean” in Mark 7:19. Think about this. If Jesus changed His Father’s command in Leviticus 11 to not eat pork, then was He obedient to His Father? “I tell you the truth, the Son can do nothing by himself; he can do only what he sees his Father doing, because whatever the Father does the Son also does” (John 5:19). “When you have lifted up the Son of Man, then you will know that I am the one I claim to be and that I do nothing on my own but speak just what the Father has taught me” (John 8:28). “Do not believe me unless I do what my Father does” (John 10:37). “For I did not speak of my own accord, but the Father who sent me commanded me what to say and how to say it. I know that his command leads to eternal life. So whatever I say is just what the Father has told me to say.” (John 12:49-50). “Whoever has my commands and obeys them, he is the one who loves me. He who loves me will be loved by my Father, and I too will love him and show myself to him… If anyone loves me, he will obey my teaching. My Father will love him, and we will come to him and make our home with him.He who does not love me will not obey my teaching. These words you hear are not my own; they belong to the Father who sent me” (John 14:21-24). If Jesus gave permission to His disciples to eat pork, was He teaching them to sin against His Father? Wouldn’t this make Jesus Himself a sinner? And if Jesus was a sinner, how could He be our Messiah? Indeed, observant Jews have noticed this today, and it is one of the primary reasons they cannot accept that Jesus was the Messiah! On the other hand, the Messiah had to be without sin, or else He could not have taken our place and allowed us to have forgiveness. and made intercession for the transgressors” (Isaiah 53:12). Thankfully, this is a prophecy that Jesus fulfilled perfectly. “All the prophets testify about him that everyone who believes in him receives forgiveness of sins through his name” (Acts 10:43). “For what I received I passed on to you as of first importance: that Christ died for our sins according to the Scriptures…” (1 Corinthians 15:3). “In him we have redemption through his blood, the forgiveness of sins, in accordance with the riches of God’s grace” (Ephesians 1:7). “He himself bore our sins in his body on the tree, so that we might die to sins and live for righteousness; by his wounds you have been healed” (1 Peter 2:24). “Jesus Christ… who loves us and has freed us from our sins by his blood” (Revelation 1:5). So if we follow a pork-eating, law-breaking Messiah, then are we following a false Messiah? “Everyone who believes that Jesus is the Christ is born of God, and everyone who loves the father loves his child as well. This is how we know that we love the children of God: by loving God and carrying out his commands. This is love for God: to obey his commands. And his commands are not burdensome, for everyone born of God overcomes the world. This is the victory that has overcome the world, even our faith” (1 John 5:1-4). “It has given me great joy to find some of your children walking in the truth, just as the Father commanded us. And now, dear lady, I am not writing you a new command but one we have had from the beginning. I ask that we love one another. And this is love: that we walk in obedience to his commands. As you have heard from the beginning, his command is that you walk in love. Many deceivers, who do not acknowledge Jesus Christ as coming in the flesh, have gone out into the world. Any such person is the deceiver and the antichrist. Watch out that you do not lose what you have worked for, but that you may be rewarded fully. Anyone who runs ahead and does not continue in the teaching of Christ does not have God; whoever continues in the teaching has both the Father and the Son. If anyone comes to you and does not bring this teaching, do not take him into your house or welcome him. Anyone who welcomes him shares in his wicked work” (2 John 1:4-11). A “little” sin is starting to look serious. But That’s Not What I’ve Been Taught! “Do not think that I have come to abolish the Law or the Prophets; I have not come to abolish them but to fulfill them” (Matthew 5:17). What does it mean that He “fulfilled” the Law and the Prophets? It means that He was the perfect, sinless Son of God which the Law and Prophets predicted! He “fulfilled” every prediction given, walking in complete obedience to His Father’s commands, making Him the only one qualified to be our Savior. And since He “fulfilled” the Law, that means we can eat pork now… right? “I tell you the truth, until heaven and earth disappear, not the smallest letter, not the least stroke of a pen, will by any means disappear from the Law until everything is accomplished. “When all these blessings and curses I have set before you come upon you and you take them to heart wherever YHWH your God disperses you among the nations, and when you and your children return to YHWH your God and obey him with all your heart and with all your soul according to everything I command you today, then YHWH your God will restore your fortunes and have compassion on you and gather you again from all the nations where he scattered you. Even if you have been banished to the most distant land under the heavens, from there YHWH your God will gather you and bring you back. He will bring you to the land that belonged to your fathers, and you will take possession of it. He will make you more prosperous and numerous than your fathers” (Deuteronomy 30:1-5). “Anyone who breaks one of the least of these commandments and teaches others to do the same will be called least in the kingdom of heaven, but whoever practices and teaches these commands will be called great in the kingdom of heaven” (Matthew 5:17-19). Obviously, someone can be a part of the kingdom of heaven while still breaking one of the “least of these commandments.” But would you want that person to be your teacher? The priests of God were supposed to teach the people about pork. “Then YHWH said to Aaron, ‘You and your sons… must distinguish between the holy and the common, between the unclean and the clean, and you must teach the Israelites all the decrees YHWH has given them through Moses” (Leviticus 10:8-11). Samuel reminded King Saul that it was his obligation to teach the Israelites. “As for me, far be it from me that I should sin against YHWH by failing to pray for you. And I will teach you the way that is good and right. But be sure to fear YHWH and serve him faithfully with all your heart; consider what great things he has done for you. Yet if you persist in doing evil, both you and your king will be swept away” (1 Samuel 12:23-25). The prophet Ezekiel was careful to obey God’s commands. “I have never defiled myself. From my youth until now I have never eaten anything found dead or torn by wild animals. No unclean meat has ever entered my mouth” (Ezekiel 4:14). However, most of the priests strayed from God’s commands. “Her priests do violence to my law and profane my holy things; they do not distinguish between the holy and the common; they teach that there is no difference between the unclean and the clean; and they shut their eyes to the keeping of my Sabbaths, so that I am profaned among them” (Ezekiel 22:26). “[The priests] are to teach my people the difference between the holy and the common and show them how to distinguish between the unclean and the clean” (Ezekiel 44:23). “As obedient children, do not conform to the evil desires you had when you lived in ignorance. But just as he who called you is holy, so be holy in all you do; for it is written: “Be holy, because I am holy‘” (1 Peter 1:14-16). Where is this “written”? If you’ll check the footnote of your Bible, you’ll see that it’s a quote from Leviticus 11, where God says eating bacon is a sin. “Do not defile yourselves by any of these creatures. Do not make yourselves unclean by means of them or be made unclean by them. I am YHWH your God; consecrate yourselves and be holy, because I am holy. Do not make yourselves unclean by any creature that moves about on the ground. I am YHWH who brought you up out of Egypt to be your God; therefore be holy, because I am holy. These are the regulations concerning animals, birds, every living thing that moves in the water and every creature that moves about on the ground. You must distinguish between the unclean and the clean, between living creatures that may be eaten and those that may not be eaten” (Leviticus 11:43-47). This is a quote from Exodus 19:5-6. In fact, sin is a reproach to any people. but sin is a disgrace to any people” (Proverbs 14:34). We sing of the wondrous sacrifice Jesus made for us. Then we come home from church and have ham for dinner. as much as in obeying the voice of YHWH? and arrogance like the evil of idolatry” (1 Samuel 15:22-23). Rather, we need to repent. “When they sin against you—for there is no one who does not sin—and you become angry with them and give them over to the enemy, who takes them captive to his own land, far away or near; and if they have a change of heart in the land where they are held captive, and repent and plead with you in the land of their conquerors and say, ‘We have sinned, we have done wrong, we have acted wickedly’; and if they turn back to you with all their heart and soul in the land of their enemies who took them captive, and pray to you toward the land you gave their fathers, toward the city you have chosen and the temple I have built for your Name; then from heaven, your dwelling place, hear their prayer and their plea, and uphold their cause. And forgive your people, who have sinned against you; forgive all the offenses they have committed against you, and cause their conquerors to show them mercy” (1 Kings 8:41-43, 46-50). To repent is to “turn back.” It means to go through our freezers and throw out the pork chops. It means to go through our cupboards and throw away the cute boxes of pork gelatin and the expensive supplements wrapped in pork gelatin. We stop buying yogurt with pork in it, and we no longer eat candy or breads made from unclean additives. It’s expensive, and it hurts. Our mouths water when we remember the smells of bacon, and we grumble. and whose pots hold broth of unclean meat” (Isaiah 65:2-4). Sadly, our world has forgotten that God has promised judgment. and chose what displeases me… (Isaiah 66:3-5). “Those who consecrate and purify themselves to go into the gardens, following the one in the midst of those who eat the flesh of pigs and rats and other abominable things—they will meet their end together,” declares YHWH” (Isaiah 66:17). and be separate, says YHWH. and I will receive you.” (2 Corinthians 6:17). for mighty is YHWH God who judges her” (Revelation 18:4-8). I know I’m usually a long-winded blogger, but this post is especially long. I hope I’ve shown you that no sin is a “little” sin, and that even a little bit of pork gelatin is detestable in God’s eyes. I know that these kinds of posts make people upset. But I’m hoping that some of my readers are righteous, with a sincere desire to walk in God’s way. I’m hoping that they’re just ignorant of what the Bible clearly says. “When a righteous man turns from his righteousness and does evil, and I put a stumbling block before him, he will die. Since you did not warn him, he will die for his sin. The righteous things he did will not be remembered, and I will hold you accountable for his blood. But if you do warn the righteous man not to sin and he does not sin, he will surely live because he took warning, and you will have saved yourself” (Ezekiel 3:16-17, 20-21). God has really been impressing on my heart to warn the righteous people I know! His judgment is coming, yet the church has fallen asleep… lulled by grace… forgetting to be holy. “See to it that you do not refuse him who speaks. If [the Israelites at Sinai] did not escape when they refused him who warned them on earth, how much less will we, if we turn away from him who warns us from heaven? At that time his voice shook the earth, but now he has promised, ‘Once more I will shake not only the earth but also the heavens.’ The words ‘once more’ indicate the removing of what can be shaken—that is, created things—so that what cannot be shaken may remain. Therefore, since we are receiving a kingdom that cannot be shaken, let us be thankful, and so worship God acceptably with reverence and awe, for our God is a consuming fire.” (Hebrews 12:25-29). So yes, dear friend, it is a sin to eat pork. Let’s not play with fire! NOTE TO ALL: Posts like these get a lot of comments — and I welcome you to comment! 🙂 However, I’m not sure all my readers will be excited if I fill this blog with controversies about the Law. I’ll discuss a wee, little bit… but for the rest of the discussion, I invite you to head over to a NEW blog of mine, Who Is Israel?, where you’re welcome to get into it nice an’ deep. You explained it very well, dear Anne! I do agree with you, we are called to be holy and to teach others to be holy too! Thank you! I would be interested to know your take on Peter’s vision in Acts 10:9-16 the ruling of the Jerusalem council in Acts 15:10-21 and Galatians 2:11-21. These texts seem to contradict your post here. I’ll try to write about the other two texts soon, because they both raise legitimate questions that deserve an answer, for sure! Thanks for your reply. This is an interesting discussion, I have genuinely never heard before that eating pork could have been considered a sin for Christians. How is it different from circumcision or eating food offered to idols? Colossians 2:16 -Therefore let no one pass judgement on you in questions of food and drink. Or 1 Corinthians 10:25 – Eat whatever is sold in the meat market without raising any question on the ground of conscience. I don’t think the label situation ethics applies, because Paul isn’t saying that it’s ok sometimes to do something immoral. He is saying be even more “moral” than you need to be, in order not to cause someone else harm. Isn’t Paul saying the same thing in 1 Corinthians 8? If you *know* something is not a sin, that’s fine, but if you cause a person who *thinks* it is a sin to copy you, then you both do wrong. How would you explain those verses? My first thought was of the verses that Drew mentions, and also Romans 14, and 1 Corinthians 10:23. It seems like Paul is saying that these things are not sinful, but not always helpful, and that our guide should always be whether the things that are “lawful” hurt or harm other people, and build up or tear down their faith. So someone who is not convicted about eating pork should not worry, unless it is a stumbling block for someone else. But no one should judge another for their choices. (Just my humble 2 cents!) Having said that, I’m not sure that pork is particularly good for you – as always God knows what he is doing in His Word! Clare, thank you for your thoughts! I’ve added these verses to a GROWING list of verses I really must write about. 🙂 I’ll do my best, okay? I do disagree with you a bit — but in all fairness to you, I need to address the passages you mentioned first. However, at first glance, couldn’t it come out a bit like “situation ethics,” to say that as long as we personally aren’t convicted about something or that in this certain situation, no harm is done, it would be okay to do as we please? Very briefly about Peter’s vision…it was not about food at all. How do we know this? Simple…Peter himself said he did not know what the vision meant. If it was about food why does Peter say he did not know what the vision meant? And if he did not know what it meant originally, who are we to question his eyewitness account of what happened? Abrianna, AWESOME job of answering a difficult question in 8 sentences. I need to learn how to do that! Amen…. This is not my first go round with this topic. When Paul rebuked Peter in Antioch it was not for eating with Gentiles but rather it was for allowing the Judaizers to intimidate him into keeping dietary law and thereby exclude and shame the Gentile believers who clearly were not keeping dietary law. If the Gentile believers in Antioch were kosher then why would Peter feel the need to distance himself from them when the Judaizers arrived? It is clear that the Gentiles were not following Jewish dietary regulations and it is important to note that Paul does not rebuke them for their unclean practices but rather rebukes Peter for attempting to rebuild the “dividing wall of hostility” (Eph. 2:14-16) that Christ has torn down. Additionally the Jerusalem council in Acts 15 Peter makes the point that the believers under the New Covenant are free from the yoke of the law, “Now, therefore, why are you putting God to the test by placing a yoke on the neck of the disciples that neither our fathers nor we have been able to bear?” These are Jewish believers who clearly recognize that Christ has freed them from the law. He is their root of righteousness not the law. This is especially clear in Paul’s letter to the Galatians. We must not forget that while the Scriptures that were available to the early church were certainly the OT Scriptures there was also the Apostles doctrine (Acts 2:42) which was being recognized as Holy Scripture as well; “Paul also wrote to you according to the wisdom given him, as he does in all his letters when he speaks in them of these matters. There are some things in them that are hard to understand, which the ignorant and unstable twist to their own destruction, as they do the other SCRIPTURES.” (2 Peter 3:15-16 – emphasis mine). Why does the vision have to relate to food? It was a vision! Just because the vision was a sheet of animals and Peter was told to kill and eat does not mean that those animals were now okay to eat. Visions are hardly ever so straight forward (Genesis 41 and Daniel 2). Three sheets could represent the three men that came for him and Peter states in Acts 10:28 that he realized what the vision meant. We all have “theological molds” in some area, the assumption that Peter was not eating with Gentile believers due to unclean meats is an example. It can be just as easily be assumed that if they were believers, the meats were clean at the table since most early non-Jewish believers were either already in the synagogues or seeking God ( and again in Acts 10:28, we see that Jews were not to be with non-Jews period according to their custom not necessarily because of meat). In the light of the Psalms (119 is one prominent example) and many verses elsewhere throughout the Old Testament, I find it hard that the “yoke on the neck” refers to God’s Law, I wonder if that can be assumed without theological biases. Realizing that the question is whether the new converts must be circumcised and follow all of Moses’ teachings, I see nowhere in Scripture where the Law of God is called a burden or a yoke (if you find a verse in the Old Testament that says otherwise, I am interested in finding it). Also in John’s first epistle (5:3), says that to the love of God is keeping His commandments and they are not burdensome. Alas, that may be my theological blindness ;). Anne, you did a great job here! Thank you for tackling a controversial topic, especially among Christians. My comments: First of all, the passages where Yeshua is dealing with food being “unclean”, we have to remember his audience, also. They would not have considered food what Gentiles considered food! According to Lev. 11, pork is not food in the eyes of the Father. We cannot superimpose what things mean in our culture onto the words in Scripture because many times we will get it wrong! He says here it is not too hard…so who do we believe? Or did He change His mind? Deu 6:25 And it shall be our righteousness, if we observe to do all these commandments before the LORD our God, as he hath commanded us. The Father says here observing his commandments will be our righteousness…so who do we believe? Or did He change His mind? As far as the way Peter acted toward the Gentile believers, it is NOT clear that they were not keeping kosher. Judaism taught that it made a Jewish person unclean to be in the company of those Judaism considered Gentiles. This is what the sheet from heaven vision was all about…if you continue to read the vision in context and see what PETER said it meant and when it occurred, it is very clear. But that we write unto them, that they abstain from pollutions of idols, and from fornication, and from things strangled, and from blood. For Moses of old time hath in every city them that preach him, being read in the synagogues every sabbath day. So, it looks like the Gentiles who were turning to the Father were given the commandments they needed to know immediately and the rest they would learn in the synagogue, over time. Anne, thank you for taking time to answer this question according to the Scriptures. One thing we started out doing after giving up pork was to also consider the “pork like” foods. We started out saying we would also not eat the turkey flavored pork products as we wanted to “abstain from all appearance of evil”. However, lately we have been using some of them. I think your post has brought things back into focus for us. Change to following Yahweh’s desires has not been easy for us and we continue to struggle to do that which is right in the eyes of Elohim. There are so many areas we need to change it all becomes overwhelming at times. Thank you once again for a great post. May I have your permission to repost this or a link to it on my blog? 1Th 5:21 prove them all. Hold fast what is good. 1Th 5:22 Keep back from every form of wickedness. 1Th 5:23 And the Elohim of peace Himself set you completely apart, and your entire spirit, and being, and body – be preserved blameless at the coming of our Master יהושע Messiah! Thank you for the encouragement, Michael, especially those verses from 1 Thessalonians. Please feel free to repost or link. Two thoughts. I do not believe there is a disconnect or contradiction between the Torah and what the Apostles teach. In fact Cindy, I would be very interested to hear your thoughts as to why Peter would refer to the law as “yoke…that neither our fathers nor we have been able to bear?” How would you explain the “apparent” contradiction? I believe the law (Torah) is impossible to keep, hence the need for the sacrificial system established by God and replaced by Christ. 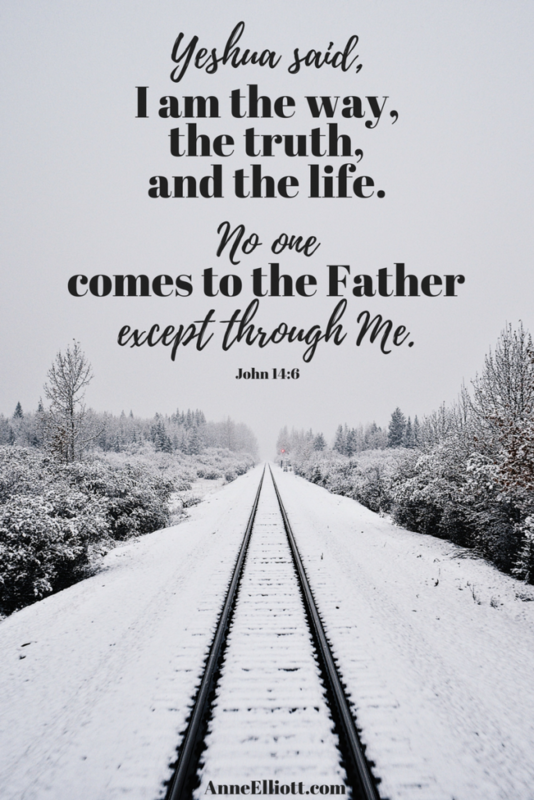 Anne quoted 1 John 3:4 in her original post where John clearly states that sin is a “transgression of the law.” John also states in 1:8 that “If we say we have no sin, we deceive ourselves, and the truth is not in us.” All people, from the beginning of time, have transgressed the law repeatedly. If it is not “too difficult” to keep then why do we keep breaking it and why is the one who claims to have kept it (he who has no sin) considered to be deceived? Is it possible that the law serves an important purpose that is being missed here? Thank you so much for your thoughful comments! I certainly understand how much time is invested in typing all this out, AFTER thinking it all out… and I realize what passionate and doctrinally dangerous territory we are treading on. I wanted you to know that I probably won’t have time to respond until this coming weekend, but I didn’t want you to think I was being rude. These are EXCELLENT comments and questions, with justifiable arguments. They deserve well-thought-out answers. I realize that you are attempting to separate doctrine and law discussion from this blog, and I know that it has something to do with the way that the encouraging atmosphere ‘changes’ when doctrine is brought up, however, there is that nasty problem of how we should treat one another when we don’t agree on doctrine. Women worship together, one head covered and the other not, one man married and the other divorced, one a soldier and one a pacifist, one able to praise God while playing the drums and the other not able to concentrate unless singing is a Capella, and shockingly even one a republican and the other a democrat! (sarcasm on that last one) And a host of others, especially considering that whole “fulfillment of the Law” and the “taking of the decree of ordinances and nailing it to the cross” selection of scriptures in the disciples’ words. It is of course important that we speak to one another in truth and in love for one another and God’s will, but inevitably we come across studious, loving, Christ seeking people who do not see what Christ has done when he brought the two and made them one (the Jew and Gentile) as one family, yet with many cultures and backgrounds and levels of understanding and faith. So what do we do? Usually we keep quiet about it until somebody else brings it up, as your friend did in this post, and most are “fortunate” in that people don’t usually ask. Sometimes it seems that this is the best thing to do, so that there are no contentions among us, and so that we can truly live lives of peace while on this earth. When do we cross the line and step out of our comfort zone and take the first step towards addressing what would be a sin for us to do that someone else who has studied the same topic and has not come to the same conclusion? It’s so much easier just to write about it in online somewhere and not have to confront anyone with it verbally and in person. But you just know that they are watching and noticing that you consider something that they are doing to be a sin, and that kind of puts an unspoken damper on the relationship. If you wind up having an outloud discussion about it, the atmosphere of the relationship will definitely change, especially when neither of you are willing to change your point of view. And what if that other person is the man you married? “Agree to disagree” and move on? Paul said that he would rather go vegetarian than cause someone else to sin, and there are those who are vegetarian because they believe that it would be a sin to eat any meat, not just pork or hare. How do we treat them, once it is shown that we disagree on what a sin is, and we’re the one who thinks it’s a sin? I think that is a matter of doctrine as well as of encouraging daily living, but it sure would be nice if everyperson were the same and there was one pat answer for how to talk to everyone. Michelle- I see what your saying here. Its such a hard situation that our family finds itself in. My extended family thinks were crazy. I have let my mother know that were not eating pork and when our kids are at her house to please not give them pork. She has refused to comply and has gone as far as lecturing our children that their father and I are in the wrong. This spills over into Christmas & Easter and we find ourselves not sure what to do. I wish we could agree to disagree and she respect our wishes. But it has unfortunately become a rift in our family. any suggestions would be welcome from other families who are in the same boat.